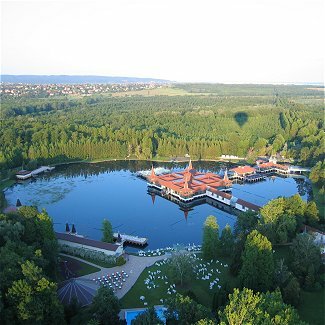 Kalandor Resort is situated amidst the rolling hills and the expansive forest of Hungary. 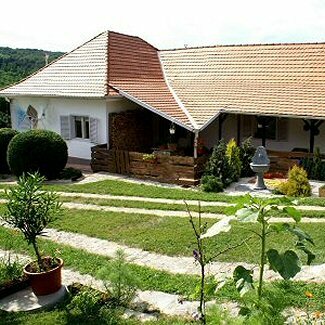 A small and private holiday resort where you can still enjoy the silence of nature but also be in close proximity of culture, sport and adventure. We offer you, next to a comfortable bed and a delicious breakfast, a home away from home where you can be yourself, relax and enjoy your stay. For 8 years we have welcomed guests in our resort and we endeavour to make your stay a great experience. We always aim to provide exceptional service standards, ensuring you can relax and enjoy your stay from beginning to end. Kalandor Resort is situated 2 km from a public road, at the end of a no-through road. There is free and safe parking available opposite our resort in a designated parking area. Our Resort itself is car free. We are happy to assist you with taking your luggage to your accommodation, as the resort has a slight incline against a hill. Our Wine Cellar is used as a communal area, breakfast is served here every morning and the room is accessible 24 hrs per day. You can enjoy our small but diverse library while the children can find an assortment of toys and games to occupy them. The lounge has a LCD television where programmes can be viewed in English, German, Dutch and Hungarian. Also information regarding the surrounding area can be found here. You can receive free Wi-Fi in the Wine Cellar, outside in the breakfast area and the outside lounge. There is no Wi-Fi available in your accommodation. We have different outside areas where you can make use of the sun beds and deck chairs provided. The outside lounge is a great space to relax or enjoy an afternoon’s rest. With warm weather you can cool down by using the outside shower or our small seasonal pool. We welcome dogs, free of charge, at our resort although this needs to be discussed and confirmed when you make your booking. We are happy to share our wealth of local knowledge and offer our best advice to make your stay a resounding success. We know the best restaurants, the nicest markets and the best places to relax and enjoy yourselves which we will gladly share with you. All of the accommodations are separated from each other and spread out over the resort with 3 types available: The Villa, 2 log cabins and 2 cottages. Each have their own entrance, bathroom, kitchenette and an outside sitting area. All bathrooms have a shower, toilet and a hand basin. The kitchenettes have a fridge, sink, coffee maker and electric jug. All of the accommodations have kitchen linen, cutlery, crockery, plates and glasses. 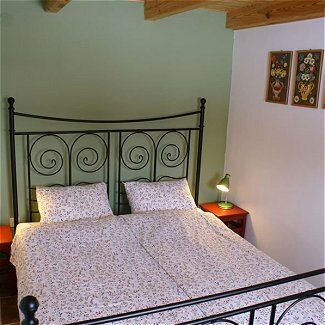 Bed and bath linen is included and your bed will be ready for use at arrival. The Wine Cellar includes use of a full size kitchen with all utensils needed to prepare any of your meals. This is free of charge. Kalandor Resort has an outside fire place where you can enjoy a camp fire or where you can barbeque. Fire wood needs to be collected by yourself. Breakfast is buffet style, consisting of fresh baked bread, eggs, cheese, cold meats, cereals, honey, home-made jam, yoghurt, milk, coffee, tea, and fruit juice. It consist of a large living area with dining table and chairs, lounge area and 3 separate bedrooms suitable for 2 people in each room. Situated in the centre of our resort and only 50 meters from the Wine Cellar and 75 meters from the parking area. 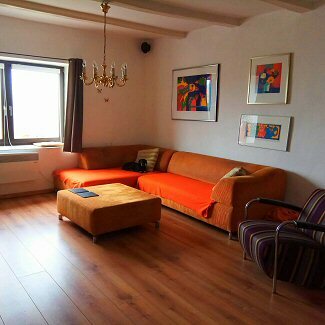 Open plan living area with a double bed and possibility of 2 single beds on request at booking. 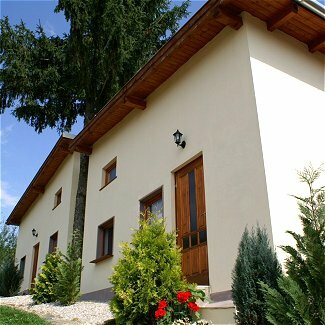 Situated on top of a hill and 50 meters away from the Wine Cellar and 95 meters from the parking area. 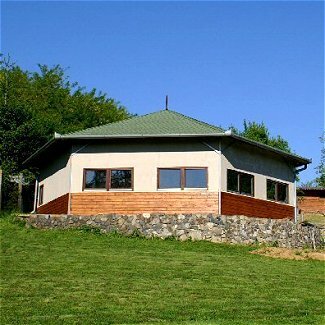 It has a small living area and 2 separate bedrooms with one having a double bed and the other having two single beds. Situated only a few meters from the Wine Cellar and 30 meters from the parking area.
" Hello and welcome to Kalandor Resort! My name is Erik van Aart, born in The Netherlands. I will be your host. I welcome you as a friend and will do my best to make your stay a great experience where you can relax and have a stress free break. I will answer your questions and will be able to advise you regarding activities and places to see in the surrounding area. Please feel free to contact me if you need help with making a booking or if you have any questions regarding Kalandor Resort. I speak English, German and Dutch." Booking is fast and easy: Online through our online website, through e-mail or phone. Click here to view our conditions for booking, payment and cancelation. A deposit of only 20% is needed with your booking. A further 30% payment at 30 days before the arrival date and the final amount to be paid at arrival. There is a discount up to 20% for off season bookings. View your discount in our online booking system. If you would like to use these last two options, you need to have an account with PayPal. Cancelling of your booking is free up to 30 days before your arrival. If you need to cancel within 30 days of your arrival, there will be a charge of 50% of your total booking cost. Breakfast buffet is free if you book online through our website, by email or by phone directly with Kalandor Resort. Also included is tea, coffee, mineral water in the Wine Cellar and at the patio for the entire day. You don’t pay a booking fee, cleaning fee nor a tourist fee. All these are included in your booking cost with no hidden fees to be paid at arrival. * When you book through Booking.com, Airbnb of Szallas.hu you pay only 2 euro per person per day for breakfast. 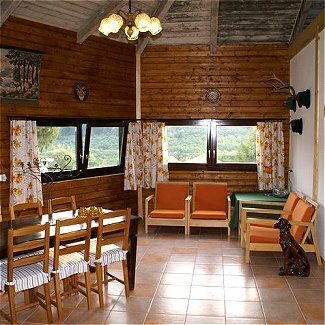 Kalandor Resort is situated in a quiet, beautiful green valley with the closest village, Zalacsány only 3 km away. Zalacsány has a fishing lake. Fish species: cat-fish, carp, cat-fish, pike-perch, tench, grass carp, breams, African pike-perch. Only 2 km away you will find the 18 holes golf resort - Zala Springs (with green fees starting from 25 Euro). Kehida Termál is situated 5 km from our resort and is a large swimming pool complex with thermal and wellness baths and several recreational swimming areas with different types of slides. 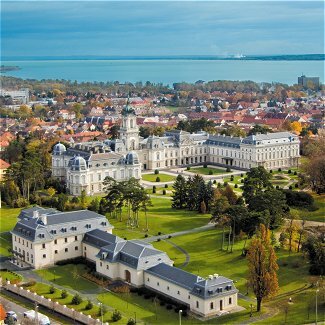 Héviz, about 12 km away has Europe’s largest thermal lake which has healing properties that have been well known for centuries. 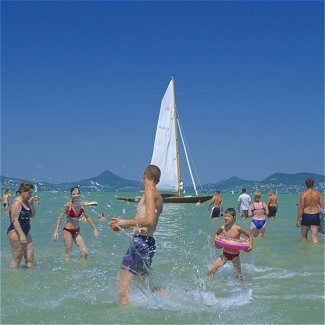 You will find the Balaton Lake 18 km from our resort which is the largest lake in Central Europe, and is one of the region's foremost tourist destinations. Surrounding Kalandor Resort, in a 5 km radius, you will find several restaurants where you can have a delicious meal for a reasonable price.